Thank you for your interest in Corel Painter 2019. Unfortunately this contest has ended, but click here to find out more. Read the Terms and Conditions for more details. Unleash your creativity with lightning fast performance on the best Creator PCs powered by Intel® Core™ i7 processors. 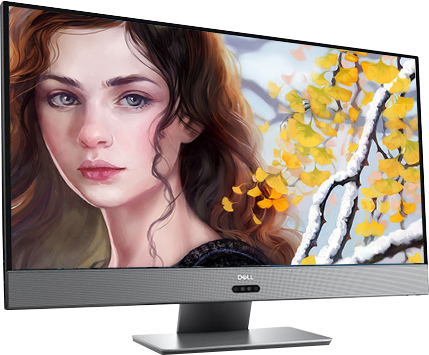 Imagine more with this All-in-One that combines a sensory-enhancing Dell cinema experience and a sweeping InfinityEdge screen. 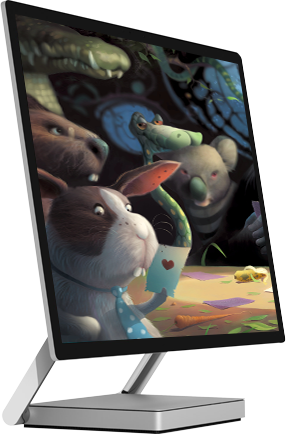 Watch your creations come to life on the 4k UHD display with color calibration. This All-in-One machine is all you need to design brilliant works of art. 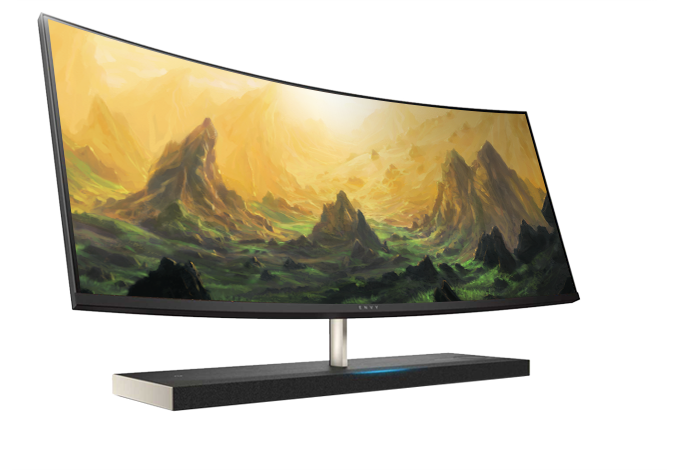 Display your designs on the world's widest curved All-in-One with almost five million pixels. Get inspired by this revolutionary and captivating PC. 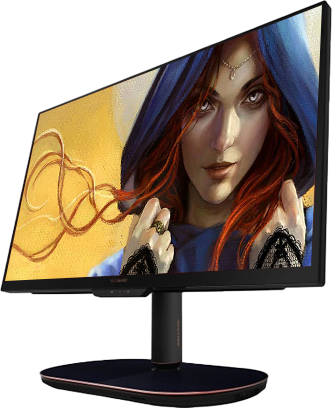 Get the ultimate creative studio and let ideas flow with brilliant color, blazing graphics, faster processors, intuitive tools, and a stunning, adjustable display. The Intel® Core™ i7 processor can help you create at the speed of your imagination with all the tools you need in Corel® Painter 2019 + the Ultimate Brush Bundle! Enter your e-mail address below. Sweepstakes valid in United States, Canada (excluding Quebec) and Germany only. Please select your country Canada Germany United States This field is required. Yes, sign me up for the Intel® Creator Access newsletter so I can continue to be the first to get behind the scenes looks, exclusive offers, invites to events and more! Spread the Word and Create Together! No purchase necessary to enter or win. The Intel + Corel Creator Bundle Sweepstakes is open only to legal residents of the 50 United States and the District of Columbia, Germany and Canada (excluding Quebec) who are 18 or older as of date of entry. Void in Quebec and where prohibited by law. 1. Sweepstakes Period: The Intel + Corel Creator Bundle Sweepstakes (the “Sweepstakes”) begins at 12:00 a.m. Eastern Time (“ET”) on November 21, 2018 and ends at 11:59 p.m. ET on December 31, 2018 (the “Sweepstakes Period”). 2. Eligibility: Open to legal residents of the fifty (50) United States and the District of Columbia, Germany and Canada (excluding Quebec) who are 18 years of age or older as of the date of entry. Employees of Intel, Corel (the “Sponsors”), Votigo, Inc. (“Administrator”) and their respective parent, affiliated companies, agents, and the immediate family (defined as parents, spouse, children, siblings, grandparents) of each of such employees, and all those with whom such employees are domiciled, are NOT eligible. Participation constitutes entrant’s full and unconditional agreement to these Official Rules and to Sponsors’ decisions, which are final and binding in all matters related to the Sweepstakes. The Sweepstakes is subject to all applicable federal, state, local, provincial and municipal laws and regulations and is void in Quebec and where prohibited. Winning a prize is contingent upon fulfilling all requirements set forth herein. Sponsors reserve the right to verify the eligibility of winners. Intel and Corel are committed to compliance with all applicable laws, regulations, policies and ethics rules. This notice is intended to ensure that your participation in this Sweepstakes will not violate any such laws, regulations, policies or rules. Intel and Corel seek no promises or favoritism for itself or any of its affiliates in exchange for the opportunity to participate in the Sweepstakes. By participating the Sweepstakes, (i) you agree that your participation in the Sweepstakes – including your acceptance of any potential prizes – will not violate any law, regulation, policy or rule of your country, state or government agency; and (ii) you certify that any potential prize is not in exchange for an agreement to influence a recent, pending or anticipated act or decision that may result in Intel obtaining or retaining business or a business advantage. 3. Sponsors/Administrator: The Sweepstakes is sponsored by Intel Corporation., 2200 Mission College Blvd, Santa Clara, CA 95054 and Corel Corporation., 1600 Carling Avenue, Ottawa, ON K1Z 8R7. The Sweepstakes is administered by Votigo, Inc., 1630 30th St. STE A-530, Boulder, CO 80301. 4. How To Enter: There is NO PURCHASE NECESSARY to participate in the Sweepstakes. A purchase does not increase your chances of winning. During the Sweepstakes Period, visit create.intel.com/corel (“Website”). Follow the instructions to complete the online entry form to receive one (1) entry into the Sweepstakes (the “Sweepstakes Entry”). Limit of one (1) Sweepstakes Entry per person, per day. More than one (1) Sweepstakes Entry per day from any person will void all Sweepstakes Entries for that person. Use of computer programs and other automatic means to participate is prohibited. Sweepstakes Entries generated by script or bot are not eligible. Incomplete, corrupted, or untimely Sweepstakes Entries are void and will be disqualified. Sponsors and their agencies are not responsible for late, incomplete or misdirected Sweepstakes Entries; lost, interrupted, or unavailable network, server, or other connections; or miscommunications, computer or software malfunctions, telephone transmission problems, technical failures, garbled transmissions, damage to a user’s computer equipment (software or hardware), or other errors or malfunctions of any kind, whether human, mechanical, electronic or otherwise. Consequently, Sponsors and their agencies are not liable in the event your Sweepstakes Entry is not captured due to the aforementioned reasons. Proof of submission will not be deemed to be proof of receipt by Sponsors. In the event of a dispute as to the identity of an entrant, the authorized account holder of the email address used to enter/play will be deemed to be the entrant or participant. The “authorized account holder” is the natural person assigned an email address by an Internet access provider, online service provider, Internet service provider, or other organization (which may include an employer) responsible for assigning email addresses for the domain associated with the submitted address. Potential winners may be required to show proof of being the authorized account holder. Entries specifying an invalid, non-working, or inactive email address will be disqualified and ineligible to win. Any attempt by any entrant to obtain more than the stated number of Entries by using multiple/different email addresses, identities, registrations and logins, or any other methods will void such Entries and that entrant may be disqualified. Use of any automated or computer system to participate is prohibited and will result in disqualification. 5. Notification of Winner: The potential Winner will be notified by email and required to complete a prize fulfillment form. In order to be eligible to win any prize, a potential winner who is a Canadian resident must correctly answer, unaided, a time-limited mathematical skill-testing question as posed by Sponsors. If the prize/prize notification is returned undeliverable, or in the event that the potential winner is disqualified for any reason, Sponsors will award the applicable prize to an alternate winner selected by a random drawing from among all remaining eligible Entries received throughout the Sweepstakes Period. The potential winner is subject to verification by Sponsors and/or Administrator, whose decisions are final AND BINDING IN ALL MATTERS RELATED TO THE SWEEPSTAKES. An entrant is not a winner of a prize unless and until entrant’s eligibility has been verified and entrant has been notified that verification is complete. 6. Sweepstakes Random Drawing: On or about January 7, 2019, the potential Grand Prize Winner will be selected in a random drawing from among all eligible Entries received in the applicable regions during the Sweepstakes Period. The random drawing will be conducted by the Administrator; an independent judging organization whose decisions are final on all matters relating to the drawing. The odds of winning are based on the number of eligible Entries received for each Sweepstakes. 7. Sweepstakes Prizes and Approximate Retail Value (“ARV”): Grand Prize: One (1) Grand Prize will be awarded. The Grand Prize consists of one (1) Creator PC (ARV: $4,500USD). The Grand Prize is awarded “as is” with no warranty or guarantee, either express or implied by Sponsors. The Grand Prize cannot be substituted, assigned, transferred, or redeemed for cash; however, Sponsors reserve the right to make an equivalent prize substitution at its sole discretion if any advertised prizes become unavailable. 8. General Conditions: Sponsors reserve the right to cancel, suspend and/or modify the Sweepstakes, or any part of it, if any fraud, technical failures or any other factor beyond Sponsors’ reasonable control impairs the integrity or proper functioning of the Sweepstakes, as determined by Sponsors in their sole discretion. Sponsors and their agencies are not responsible for lost, late, incomplete, damaged, stolen or misdirected entries; lost, interrupted, or unavailable network, server, or other connections, garbled transmissions or miscommunications, telephone transmission problems; computer or software malfunctions or damage to a user’s computer equipment (software or hardware); technical failures; or other errors or malfunctions of any kind whether human, mechanical, electronic, or otherwise. Proof of sending or submission of Entry will not be deemed proof of receipt by Sponsors or Administrator. Sponsors’ failure to enforce any term of these Official Rules shall not constitute a waiver of that provision. Warning: Any attempt by an entrant or any other individual to deliberately damage any web site associated with this Sweepstakes or undermine the legitimate operation of the Sweepstakes may be a violation of criminal and civil law, and, should such an attempt be made, Sponsors reserve the right to prosecute and seek damages from any such person to the fullest extent permitted by law. Sponsors reserve the right at its sole discretion to disqualify any individual it finds to be attempting to tamper with or undermine the Entry process, the Website, and/or the legitimate operation of the Sweepstakes; to violate the Official Rules; or to act in an unsportsmanlike or disruptive manner or with the intent to annoy, abuse, threaten, or harass any other person. If, for any reason, the Sweepstakes is not capable of running as planned, Sponsors may, in their sole discretion, void any suspect Entries and (a) modify the Sweepstakes or suspend the Sweepstakes to address the impairment and then resume the Sweepstakes in a manner that best conforms to the spirit of these Official Rules; or (b) award Grand Prize prizes from among the eligible, non-suspect Entries received for the Sweepstakes Period up to the time of the impairment. FOR RESIDENTS OF GERMANY: THIS RELEASE DOES NOT APPLY TO CLAIMS AGAINST SPONSORS, THEIR REPRESENTATIVES AND THEIR VICARIOUS AGENTS FOR DAMAGES BECAUSE OF PERSONAL INJURY OR DEATH, AND TO CLAIMS FOR DAMAGES IN CASE OF INTENT OR GROSS NEGLIGENCE BY SPONSORS, THEIR REPRESENTATIVES OR VICARIOUS AGENTS. 9. Release and Limitations of Liability: By participating in this Sweepstakes, entrants agree that Sponsors and each of their affiliates, subsidiaries, franchisees, representatives, consultants, contractors, legal counsel, advertising, public relations, promotional, fulfillment and marketing agencies, website providers, web masters, and their respective officers, directors, employees, representatives and agents (collectively, the “Released Parties”) are not responsible for: (1) any incorrect or inaccurate information, whether caused by entrants, printing errors or by any of the equipment or programming associated with or utilized in the Sweepstakes; (2) technical failures of any kind, including, but not limited to malfunctions, interruptions, or disconnections in phone lines or network hardware or software; (3) unauthorized human intervention in any part of the entry process or the Promotions; (4) technical or human error which may occur in the administration of the Sweepstakes or the processing of Entries; or (5) any injury or damage to persons or property which may be caused, directly or indirectly, in whole or in part, from entrant’s participation in the Sweepstakes or receipt or use or misuse of a prize. Without limiting the foregoing, everything regarding this Sweepstakes, including, without limitation, the above Website and the prize, are provided “as is” without warranty of any kind, either express or implied, including but not limited to, the implied warranties of merchantability, fitness for a particular purpose, or non-infringement. Some jurisdictions may not allow the limitations or exclusions of liability for incidental or consequential damages or exclusion of implied warranties, so some of the above limitations or exclusions may not apply. Check local laws for any restrictions or limitations regarding these limitations or exclusions. 10. Publicity. Except where prohibited by law, winner grants to Sponsors and those acting pursuant to its authority, the right and permission to print, publish, broadcast, and use, worldwide in any media now known or hereafter developed, including but not limited to the world wide web, at any time or times, the winner’s name, portrait, picture, voice, likeness, Entry and biographical information for advertising, trade, and promotional purposes (including the announcement of his or her name on television or radio broadcast) without additional consideration, compensation, permission, or notification. Entrants agree that Sponsors shall own Entries, which will not be acknowledged or returned, and that Sponsors and their designees shall have the perpetual, worldwide right to edit, publish, and use the Entries in any way and in any media for trade, advertising, promotional, and/or other purposes as Sponsors and/or their designees may determine without further consideration to entrants or any third party. 11. Disputes. Except where prohibited, entrant agrees that: (1) any and all disputes, claims and causes of action arising out of or connected with this Sweepstakes (excluding any and all disputes, claims and causes of action arising out of or connected with the prizes awarded in the Sweepstakes or the use or misuse thereof) shall be resolved individually, without resort to any form of class action, and exclusively by the United States Court for California or the appropriate State Court located in California; (2) any and all disputes, claims and causes of action arising out of or connected with the prizes awarded in the Sweepstakes or the use or misuse thereof shall be resolved individually, without resort to any form of class action, and exclusively by the appropriate courts located in Centre County, Pennsylvania; (3) any and all claims, judgments and awards shall be limited to actual out-of-pocket costs incurred, including costs associated with entering this Sweepstakes but in no event attorneys’ fees; and (4) under no circumstances will entrant be permitted to obtain awards for, and entrant hereby waives all rights to claim, indirect, punitive, incidental and consequential damages and any other damages, other than for actual out-of-pocket expenses, and any and all rights to have damages multiplied or otherwise increased. All issues and questions concerning the construction, validity, interpretation and enforceability of these Official Rules shall be governed by, and construed in accordance with, the laws of California, without giving effect to any choice of law or conflict of law rules (whether of California or any other jurisdiction), which would cause the application of the laws of any jurisdiction other than California. 13. Winners List: For the names of the winners, available after February 3, 2019, for a period of at least 30 days, email madetocreate@votigo.com with an email subject of “Creator Bundle Sweepstakes”. Intel, the Intel logo, Intel Core, and Intel Inside are trademarks of Intel Corporation in the U.S. and/or other countries. Copyright © 2018 Corel.